Kentcentric: Could the South East lose two airports? Could the South East lose two airports? At a time when the Howard Davies is wrestling with the conundrum of where the country should place any new runway capacity, could the South East be in danger of losing two of its airports? Everybody in Kent will be aware Manston Airport is teetering on the brink of closure as the new owners consult with staff on its future. 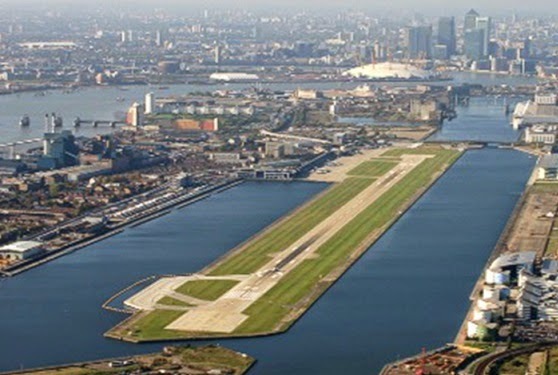 However, if the report from think-tank New Economics Foundation (NEF) is accepted, London City Airport could close and be redeveloped to make way for houses. The NEF report suggests London City Airport provides only 2.4 per cent of London flight demand, and makes ‘no economic, environmental or social sense’. It also argues the airport negatively impacts on the poor air quality, carbon emissions and community blight in surrounding Newham, and causes noise pollution across much of east and south east London. The report has suggested the land occupied by the airport could be redeveloped as a ‘sustainable and socially just neighbourhood’. Although the Mayor of London may not support these findings, if he were to secure his Thames Estuary plans (and it’s a massive if), then London City would be forced to close anyway, unlocking the land for much-needed housing. London City Airport has responded by arguing its closure would put 2,000 people out of work, remove £750 million a year from the British economy, and undermine the long-term revitalisation and regeneration of east London. It’s probably a flight of fancy, but could one solution be for Boris Johnson to drop his estuary plans, accept the closure of London City and consider purchasing Manston, putting in place high speed rail services between the Capital and East Kent? This could be funded by freeing up high value land for housing close to Canary Wharf.